Middelburg is a true Dutch gem and a perfect destination for a weekend getaway in The Netherlands. 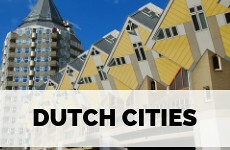 The cities’ rich history, due to its harbour playing a vital role in the VOC (Dutch East India Company), is still depicted in the exuberantly gabled houses, the winding cobbled streets and excellent museums. What surprised me most though, was the outstanding gastronomy. 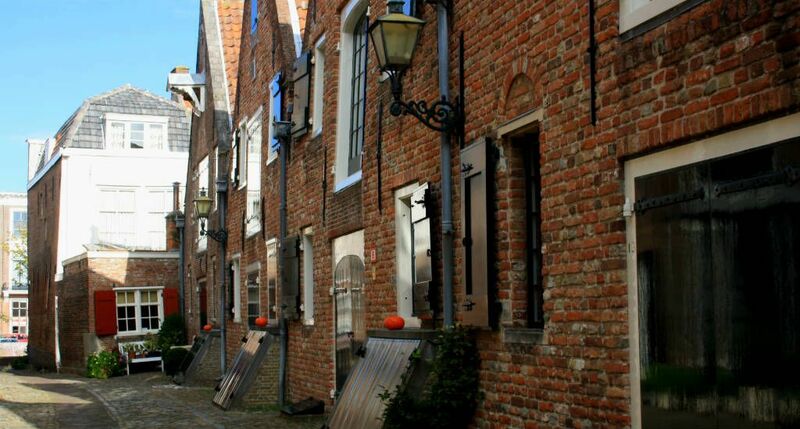 Check out this complete city guide Middelburg to discover the capital of Zeeland. Middelburg is formed by trade. 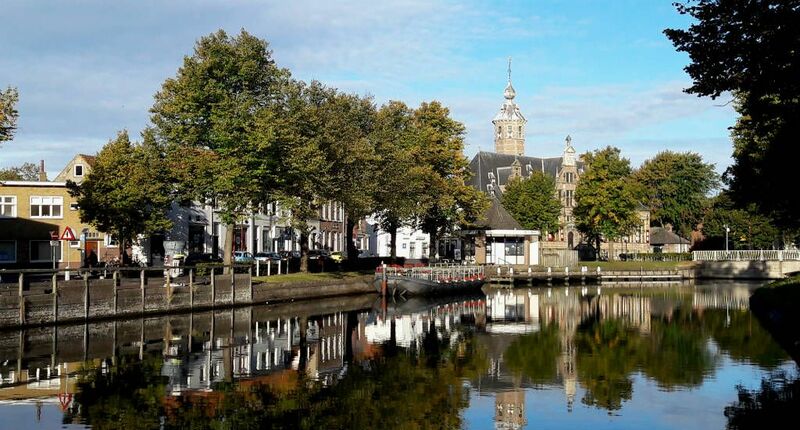 Even before the Reformation ships loaded with glasswork, art and wine from France, Spain and Italy would drop anchor in Middelburg turning the city into the central western European marketplace for exotic goods. When Middelburg Commercial Commerce Company started sailing under VOC flag the city truly became a rich city and was, together with Amsterdam, the most important city of the lowlands. When walking through the dreamy streets you really can’t believe that the entire city centre of Middelburg was pretty much bombed to bits during the Second World War. The city was rebuilt in the same style and you can still feel what life must’ve been like during the 16th century. Middelburg is actually a lovely place to explore by foot. The city centre is quite compact and easy to see within a day or so. 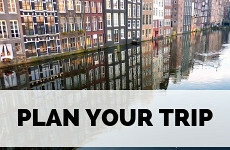 The winding streets, historical buildings and canals are beautiful. If you’re pressed for time, you can join an English spoken guided walking tour. Middelburg, like Amsterdam, is a fortified city and the canals were part of the cities’ defence works. 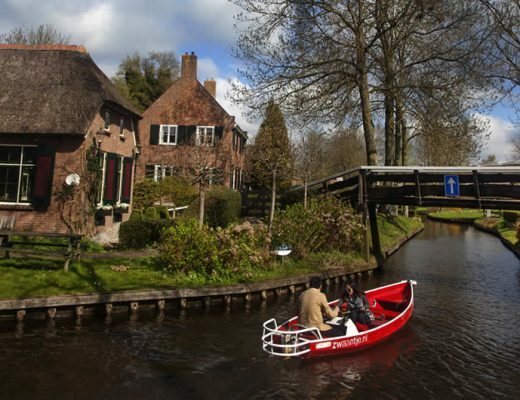 You can join a guided canal tour every day or rent a canoe to experience Middelburg from the water. The gothic Town hall of Middelburg dominates the market square and a real beauty. The gothic side of the town hall was built in the 15th century, the classical portion dates back to the 17th century. 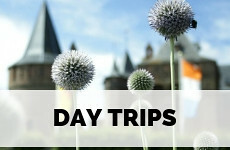 Join one of the daily guided tours (you can buy your tickets at the tourist shop on the market square) to see the ceremonial rooms, the treasures and stunning Belgian tapestries. The Middelburg town hall was voted the most beautiful town hall in The Netherlands. Now, I don’t keep records on all town halls in The Netherlands, but yes: this one is particularly impressive. You can’t miss the enormous Abbey complex from the 12 centuries, which contains the regional government, three churches and a museum. The inner courtyard is probably one of the prettiest squares in The Netherlands. You can visit the three churches all at once, by going into the Wandelkerk. 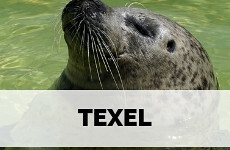 This is one of the best regional museums in The Netherlands. It’s housed in the old Abbey. 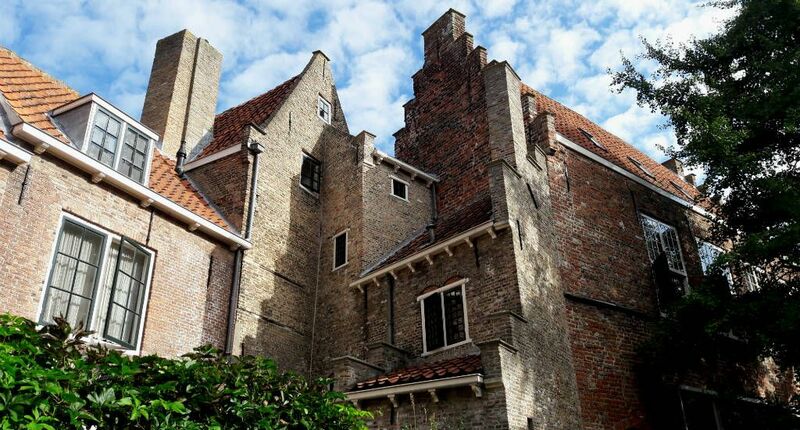 The museum pays exceptional tribute to the historical heritage of Zeeland, with wonderful pieces of art, tapestries and amazing traditional dresses. Please don’t skip the ‘wonderkamers’ (chamber of wonder) on the top floor, true treasure chests filled with the most amazing pieces that came to Middelburg in its Golden Age of trade. Kloveniersdoelen is one of the most striking monuments in Middelburg. It was built in 1609 and used as a place of exercise for the army. During the French revolution, when the south of The Netherlands was in French hands, it served as a military hospital. Nowadays you can have lunch or dinner in the excellent restaurant or have a drink in the lush gardens. The complex also houses a cinema. 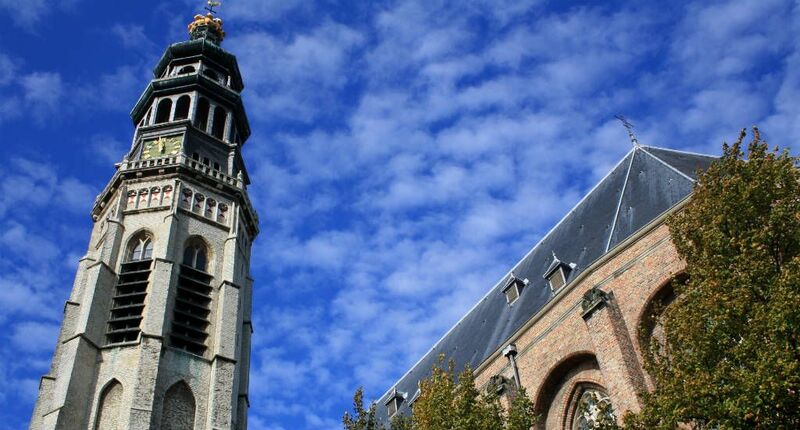 You can see the tower of the Wandelkerk everywhere in the centre of Middelburg. It dates from the 1600’s but was destroyed during the Second World War. Reconstruction began after the war and the church was reopened in 1955. You can climb the 207 steps to the top for an amazing view. On clear days you can see all surrounding islands of Zeeland. Koepoort is the only historical city gate that remains in the city today. It was built in 1735 in Baroque style and was built by architect Jan de Munck sculptor Jan Pieter of Baurscheidt de Jonge. Vismarkt, the old fish market, is one of the prettiest little squares in Middelburg with its cobbles, underneath chestnut trees. You can have a drink in the adjacent café. The Oostkerk is a richly decorated domed protestant church from the 17th century. The construction was mostly financed by the taxes that were raised on beer and wine, so locals often joke that the church was erected by drunks. The picturesque courtyard Kuiperspoort is a beautiful hidden gem in Middelburg. It’s situated between Dam and Rouaanse Kaai. The courtyard was built by the coopers guild between 1586 and 1642 when coopers built houses and warehouses. The historical gabled houses and stairwells are all beautifully restored. Are you visiting Middelburg in October? Then you can visit the wine festival that is hosted over an entire weekend. It’s an unknown fact that some pretty decent wine is produced in Zeeland (so decent that wine from Zeeland vineyard De Kleine Schorre has been chosen by Dutch airline KLM to serve as their business class wine). 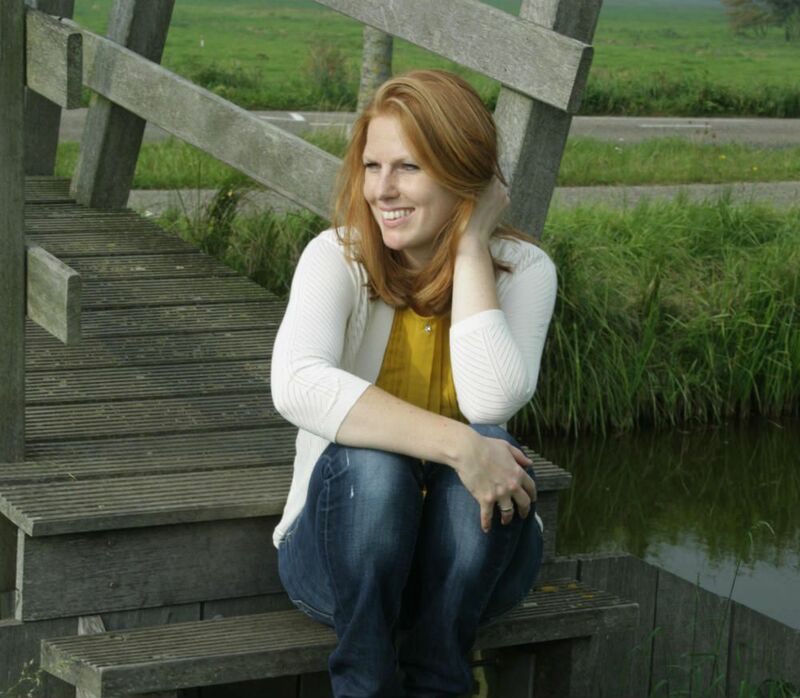 The festival is the perfect occasion to sample wines from Zeeland, but also wines from abroad. 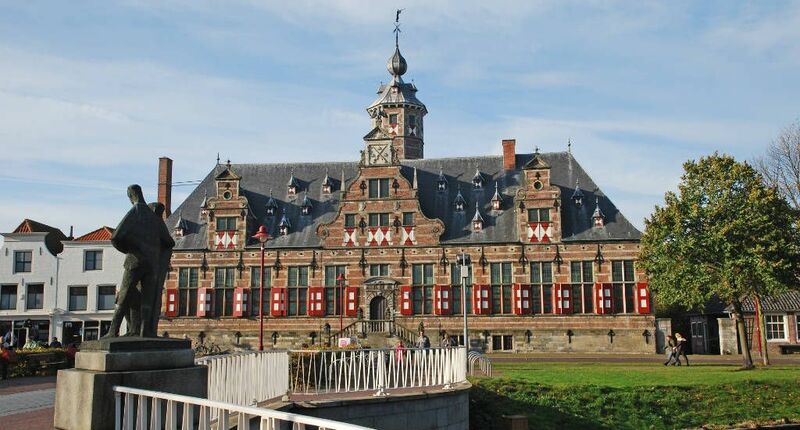 Zeeuws archief (the archives) is housed in a striking building from the 17th century and is the most important archive of the province, but it also hosts regular interesting historical exhibitions. Being so close to the sea it’s no surprise that Middelburg is the gastronomical capital of seafood, but there is much more to explore (and taste!) in Middelburg. The restaurants hold a high culinary standard and having lunch or dinner in Middelburg is a true treat. During this culinary walk, you will taste the best the city has to offer. You will taste typically local treats and have a starter, main and dessert in three different restaurants. Kickstarting your day is a delight at Honeypie, in a beautiful historical building along a Middelburg canal. 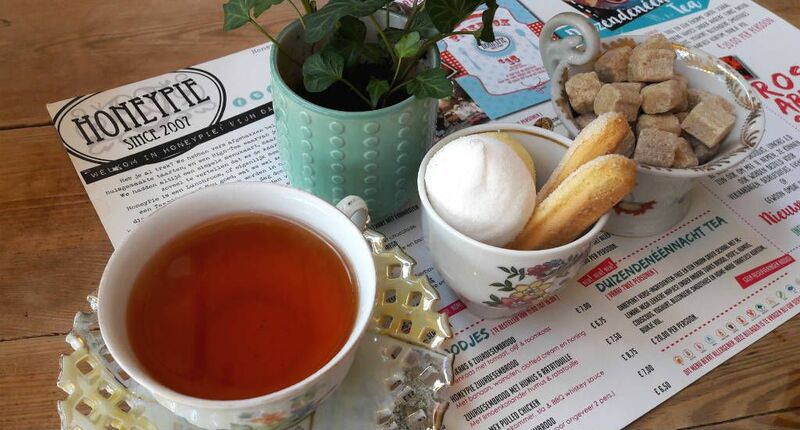 This colourful café offers the best cakes in Middelburg, served on vintage plates. You can grab a magazine or some knitting while you enjoy your treat and watch the people passing by. Vriendschap (which means friendship) is a great restaurant in the centre of the city, a stone’s throw a way from the town hall. They serve a mean cup of coffee here, but the wines are also pretty good. If you’re a beer lover, order a locally brewed Hosternokke beer. The fabulous locally designed crockery (with modern ladies in traditional dress on it) and the excellent wine list with local wines are reason enough to book a table at Scherp. But the menu is also not to be sneezed at. Inmiddels is like the mother of all concept stores. You can have some excellent coffee at Inmiddels, but you can also shop for Dutch design and vintage items. Locals love Inmiddels because it’s a popular working spot for freelancers. This restaurant is located a little outside the city centre and the menu is filled with dishes made from organic and local produce only. The interior is a mix of design items and a colourful collection of appliances. Sint Jansstraat is the most fun street in Middelburg, as it has the best shops, cafés and restaurants per square meter. RØST is a new kid on the block, with cosy outdoor seating, colourful design and really good coffee. I have this thing for cafés in bookstores, there is something so peaceful about eating lunch or having a piece of pie while being surrounded by the most prestigious writers in history. Drvkkery is on the market square and a great place for lunch on a rainy afternoon when all you want to do is read the paper or a book and eat something heartwarming. Vegans and vegetarians should definitely visit Imagine in Middelburg (and carnivores also should stop by). It’s an excellent place for coffee or lunch. The soups, salads and cakes are excellent. 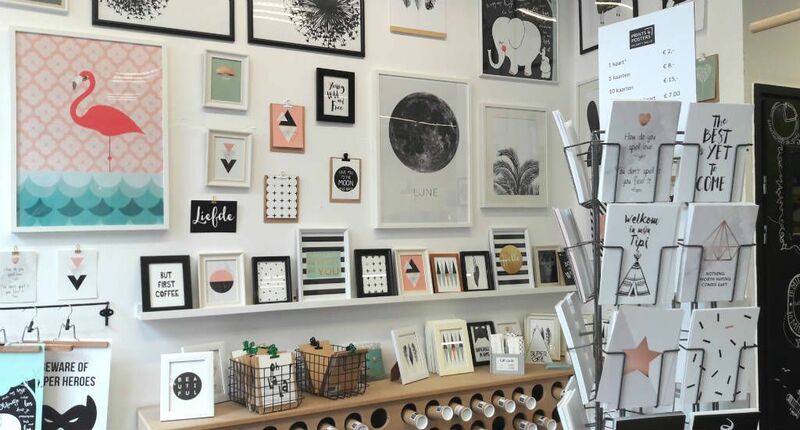 In the back is a shop that allows you to take home the goods in your own tins, Tupperware and bags, as they owners of Imagine discourage the excessive packaging in regular supermarkets and food stores. Did you know that US President Roosevelts ancestors were originally from Middelburg? I sure didn’t, but when Hotel The Roosevelt opened its doors I learned that the Roosevelt family still holds a strong connection to the city and they visit every year. Hotel Roosevelt is a beautiful boutique hotel (every room is designed differently) with a warm decor. 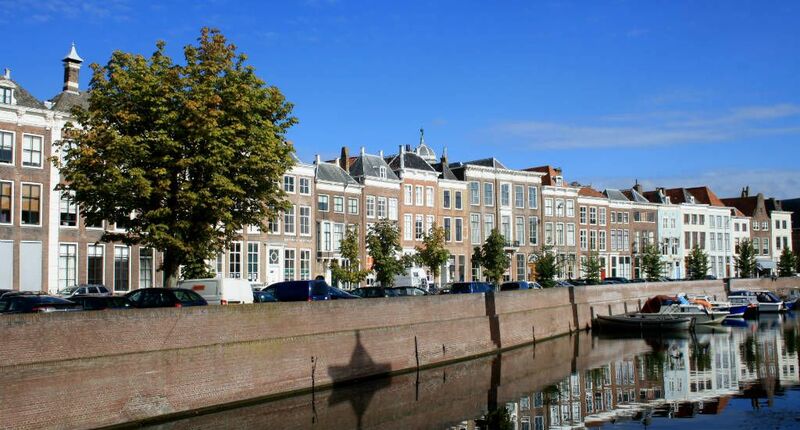 It’s situated in the heart of Middelburg, a stone’s throw away from all the sights. Loskade 45 (I have listed the adjacent restaurant above) is a lovely small, and brand new, boutique hotel close to Zeeuw Museum. 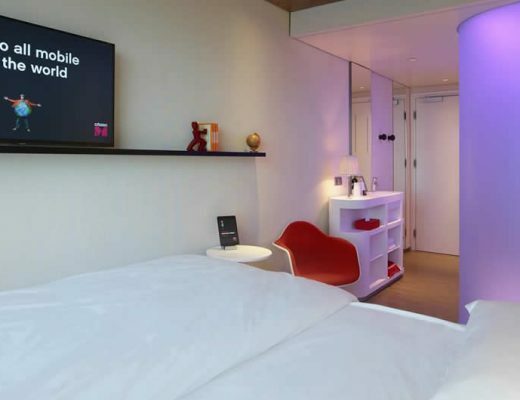 The rooms are spacious, comfortable and light. The staff is very friendly and helpful. If you want to stay in one of the oldest and most traditional houses in Middelburg, check in at Bed & Bubbels. 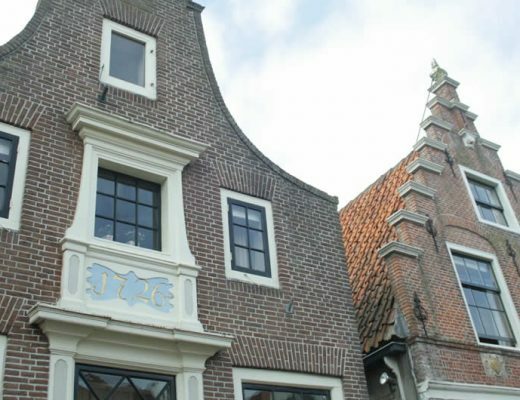 It’s located in historical house De Gouden Bock from the 16th century and although the rooms are very modern and comfortable you will see details of long, long ago in every space.